Continuity: The final adventure featuring the Nth Doctor and the first to feature Riddell. 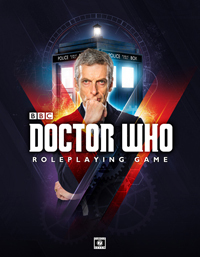 Synopsis: After rescuing John Riddell from perilous misadventure in Afghanistan, the Doctor reconnects with his old friend over a drink aboard the TARDIS, but they are soon torn from the vortex by the ravenous maw of a black hole! Emerging from the wreck that remains of the TARDIS, the Doctor and Riddell find themselves aboard an inconceivable interstellar vessel, the Destiny of Ydar, a vast and frighteningly powerful megastructure possessing a singularity that consumes planets and stars. In the depths of this great and ever-growing world-ship, corridors become caverns at the core of a trapped moon, armed robots maintain an oppressive code of order, and one of the Doctor’s former companions waits for a moment of redemption. With her are the children of a forgotten world, lost souls who have forgotten there is a universe beyond but seek to wage a bitter rebellion within their world-ship in the name of all life. The Doctor and his companions join their noble cause, but they are not prepared to oppose the implacable will of their enemy. The Supreme believes itself to be all-knowing, all-seeing, never-ending. It will not be deterred from its five million year mission of vengeance and survival. To bow to the will of the Supreme means galactic genocide. For the Doctor, there is no choice but to resist, even if challenging a would-be god for the fate of the galaxy will seal his own cruel fate. 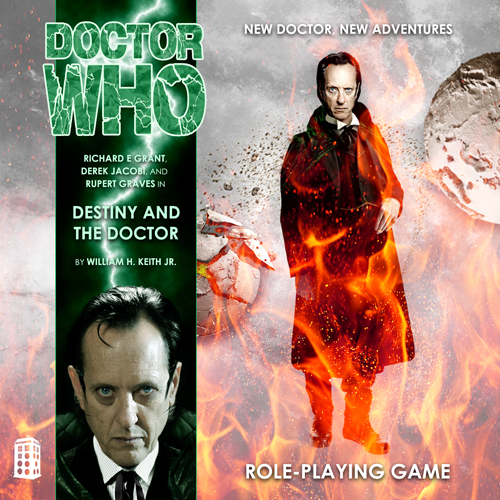 All things must end—even the legendary journey of the hero known as the Doctor! IT WAS clear that he was on his way out, this man they called the Doctor. Sylvia had been watching him. After the curtain had fallen to triumphant applause he’d made his way for the theatre bar instead of the exit, as was his ritual, but she could see that he wasn’t going to hang about. The admiring audience dispersed not long after the show, pouring out into the rain-sodden streets. There were plenty of seats and empty tables available. The Doctor had insisted on standing alone at the bar, however, a glass of red wine in his hand. And though he was known to savour his after-show tipples, his fingers never left the stem and the plonk was disappearing fast. It was only a few short minutes before he’d tossed one of his eccentric tips out for Finchie—this time a sort of small crystal seashell that sparkled blue and periwinkle in the lights of the bar—and was making his way out, past the velvet rope, the cigarette machine, and a curious Sylvia. She caught a glimpse of that inhuman complexion and the shock of grey in his thick mane of hair as he passed by.